We all know that MSK is one of the two biggest causes of sickness absence in the UK. It’s perhaps no surprise that this is even more true in the construction sector. Every year, occupational ill‐health costs construction employers £848million in reduced productivity, sick pay, cover for absence and replacing staff who leave because of ill health. 76% of this relates to MSK conditions. 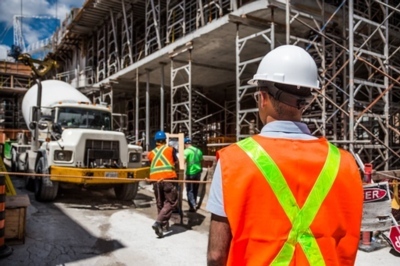 In February, ARMA brought together some key players in the construction sector with stakeholders such as Department for Work and Pensions and Health and Safety Executive, to look at what might be done to improve this situation. The group discussed a range of issues. Due to the nature of the work people fear speaking out about an MSK problem. This can lead to presenteeism, with loss of productivity, ending when there is a more serious injury, which might have been prevented if treatment had been provided earlier. There is a challenge of getting a message across to a workforce who are mostly on site, and how to make sure the key messages are communicated clearly without bombarding people with information that they can’t take in. It is a complex sector, with major contracting companies, who may not directly employ staff, and large numbers of very small companies who may have little or no occupational health infrastructure. There will be a report following the meeting – look out for it on the ARMA website soon. Participants will also be taking forward some of the recommendations from the day. We would like to thank Volker Wessels UK, BAM Nuttall, Mace Group and Multiplex Europe for supporting the event. 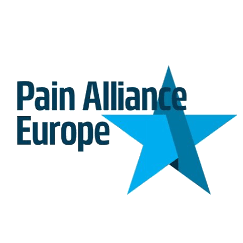 Pain Alliance Europe launched a new survey on stigma and chronic pain. One of the main “fights” PAE is leading is for the pain patient to be heard, believed and understood. The most recent survey developed deals with stigma related to chronic pain and will be open until the 1st of March, 2019. Besides the many physical challenges that chronic pain inflicts, patients deal with the psychological burden of having a condition they do not deliberately choose to have. To understand better to which extent stigma is a part of the illness pack in the life of a chronic pain patient, Pain Alliance Europe has directed its questions for 2019’s survey about chronic pain to the way patients perceive and are affected by the subjectivity of other categories from society that they come in contact with during their pain journey. In this respect, PAE hope the results of the new survey on stigma related to chronic pain will raise awareness of the way the environment of the patient may contribute to the alteration of the psychological conditions that influence the life of a patient. Take the survey here. Previous surveys and results are available on the website. 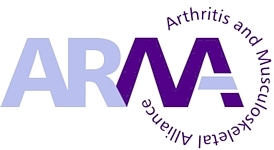 FOREUM – Foundation for Research in Rheumatology – announces a programme to support innovative concepts to improve the diagnosis and treatment of Rheumatic Musculoskeletal Diseases (RMDs). This programme is designed as an open research call seeking for the best and most visionary approaches to better understand RMDs and to improve the life of patients with RMDs. Letters of intent can be submitted until 5 March 2019. If you are interested to apply for a grant, please find all information on the open call page on the FOREUM website. Work and Health Unit commissioned resource to support GPs in identifying work modifications. You may be aware from previous contacts and, or consultations, that the Work and Health Unit (WHU), as part of its “Improving Lives” strategic programme, has identified a need to provide additional support resources to Doctors, to help them in supporting patients to identify work adjustments to improve workability and improve recovery. The Council for Work and Health was commissioned to research and develop this work and a dedicated researcher was used to review published literature, collate existing available resources and to develop content. Council members and other contacts have been actively consulted during this development process and much work has been done to date. You will also be aware from recent consultation that work has been underway to revisit the “Work as a Clinical Outcome” consensus statement due for relaunch shortly. The “Work as a Clinical Outcome” consensus statement reminds all healthcare workers that such conversations are an important part of clinical practice. This resource is primarily aimed at GPs to help support their medical consultations and consideration of “Fit note” options, and whilst this resource seeks to be used in a medical context we have tried to balance some clear advice that most work adjustments are simple and practical arrangements. I would be grateful if you would share the link with your colleagues and invite them to contribute to user testing this resource as part of its continued development – we are keen to understand views regarding its content, accessibility and usefulness. Accessing the link will trigger a short feedback survey which will be in place over the next month’s testing period. We will then take stock and evaluate the feedback in consultation with the Work and Health Unit in order to finalise a resource, which is planned to be freely accessible via the Council for Work and Health website from April 2019. The resource is deliberately written in a style and manner aimed at doctors – we absolutely recognise that the key in all this is people having good conversations with employers and this is being looked at elsewhere in the WHU programme – this piece of work is to encourage GPs to consider work adjustments in their consultations with patients. This resource will not sit in isolation and many other converging programmes are also in development to support other health care practitioners, employees and employers to enable positive conversations on work options. We also recognise that different GPs will use resources in different ways, and that levels of knowledge and capability may be variable. It is also recognised that good quality occupational health advice may help support and work is being undertaken on how best to provide such. This resource has been developed for use by doctors during their clinical consultations with patients, it is illustrated with some simple case studies and there may be opportunity to add to these later. This is still work in progress, and the following link will give free access to the current version, which we are keen to now seek further feedback and evaluation upon. If you follow the link it will take you to the Council for Work and Health’s website and the relevant resource page. The resource can be read from start to finish if preferred, but we anticipate users will jump to relevant sections, links or case studies and that in time we can provide more relevant linked content applicable to wider stakeholders. The evaluation resource will generate a simple survey on closing and we hope that you will feel able to share the link as widely as possible and encourage stakeholders to give feedback during the next month. After this period we will consider any necessary revisions and more formally plan to launch the web resource in March 19. I know some stakeholders will feel that this resource risks medicalising the work and health conversation, once again the context, we are testing here, is for use in General Practice and to support patients in starting conversations where appropriate. ARMA wants to find out what is happening across England’s MSK services so we can learn how best target to our support for improvements. This MSK Services survey gathers information on the quality of local services, programmes and improvements related to primary care, orthopaedics, rheumatology, pain management, community MSK, and public health. 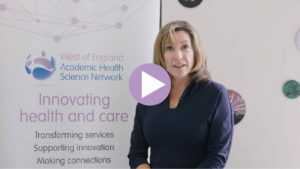 This is part of our Clinical Networks Project, a partnership between ARMA and NHS England. Our report will be anonymised; no names of individuals, CCGs or STPs will be released. Please find the survey here. It only takes a short time to complete. A new paper published [24 October 2018] in the Lancet highlights regional imbalances in health and reveals the huge burden of disability linked to long-term conditions such as low back and neck pain, anxiety and depression, highlighting the need for health services to adapt to managing these conditions. The study uses GBD 2016 data on mortality, causes of death, and disability to analyse the burden of disease in the countries of the UK and within local authorities in England by deprivation quintile. Read more and download this paper from Lancet website.